There are two areas of concern today for severe weather. 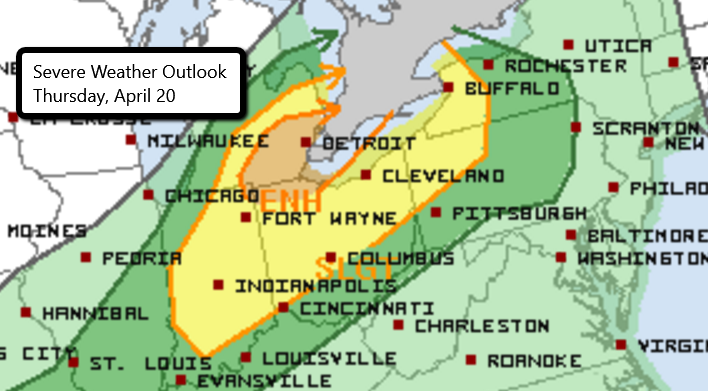 There is an Enhanced Risk for parts of the Great Lakes including Detroit and Ann Arbor, MI and Toledo, OH. Any storms that develop in this area have the potential to produce damaging wind gusts, large hail, and even a few tornadoes. 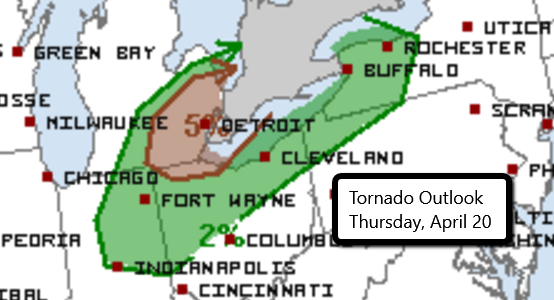 The highest tornado risk is in southeastern Michigan and extreme northwest Ohio. 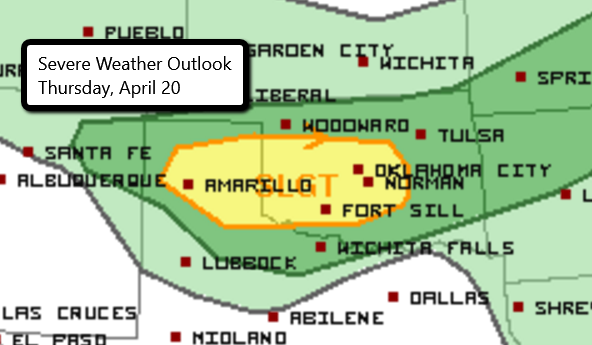 Parts of the Texas panhandle and central Oklahoma make up the second area of concern. Here, large hail and strong winds are the primary concerns, but a tornado or two cannot be ruled out. The risk for severe weather will continue tomorrow in the Southern Plains with all modes of severe weather possible. We will have chasers live in the field. Watch their streams here.